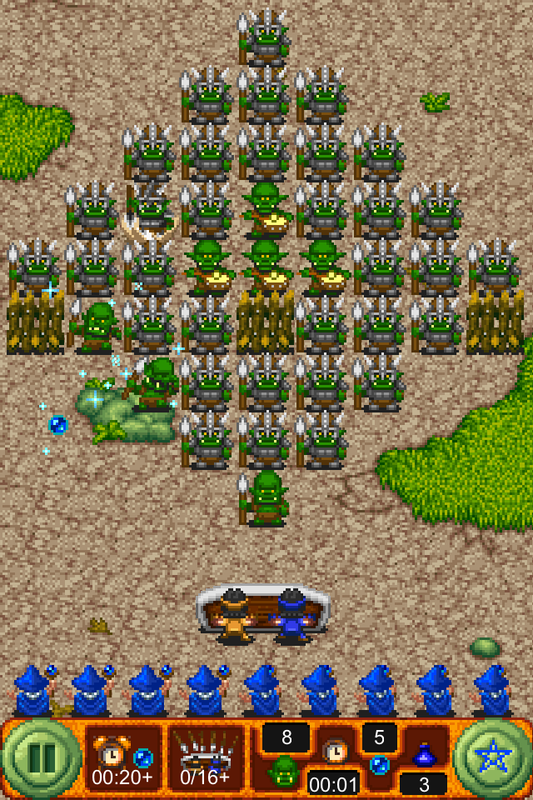 Smash the hordes of orcs who have come to attack us and expel them forever. 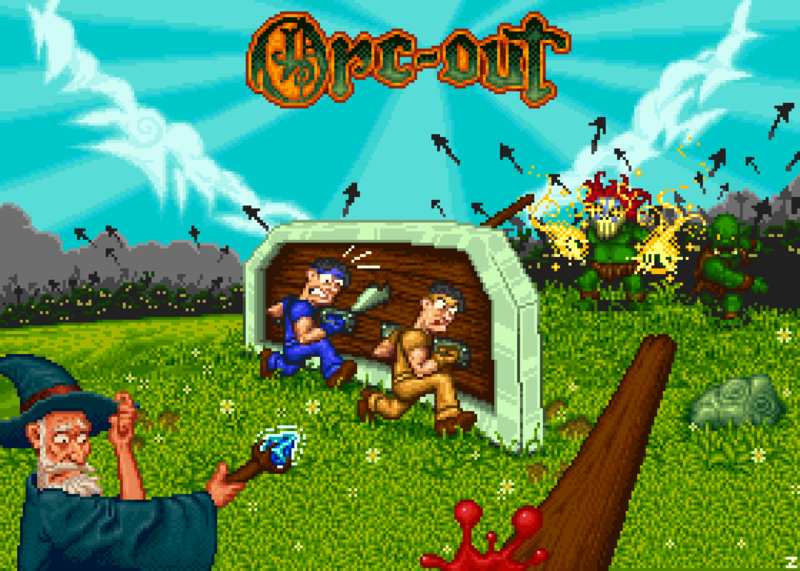 Orc-out is a new game concept that combines characteristics of different arcade games with a touch of strategy. Our main task: Bounce the sphere on our shield as we gather with it the projectiles that can end with the life of our wizards. 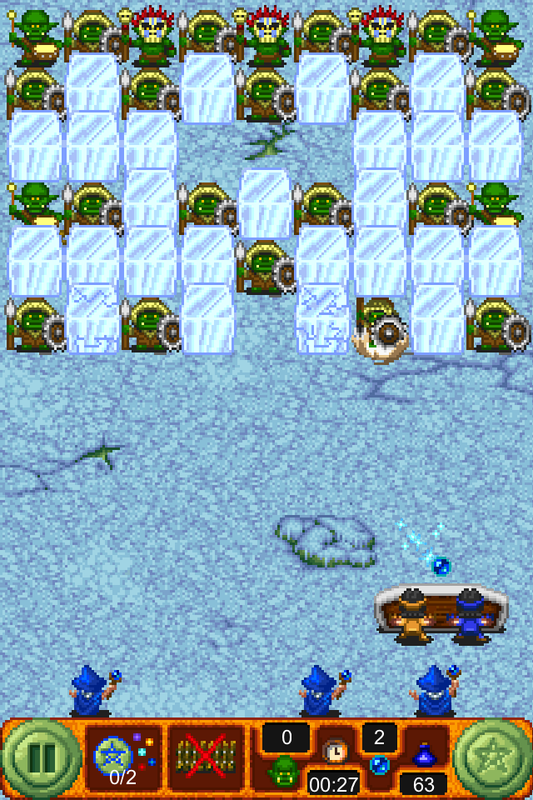 If we lose all of them, the magic sphere that have invoked will be destroyed and we lose the level. But beware! 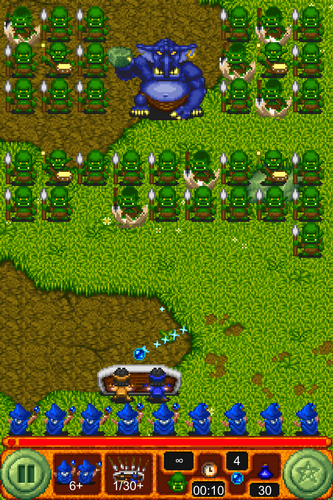 Every so often, many more orcs appear in waves from the top of the screen, causing the game to be exciting all time. However, to fight the toughest orcs, we will use magic. Since we will have several spells that we will acquire during our trip. 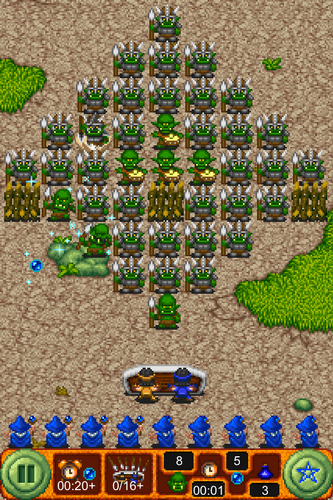 Plus many more surprises and other enemies, who put us to the limit in each game. Guide our adventurers along 70 levels full of enemies through 6 worlds to kill the evil orcs plus 3 challenges to unlock. 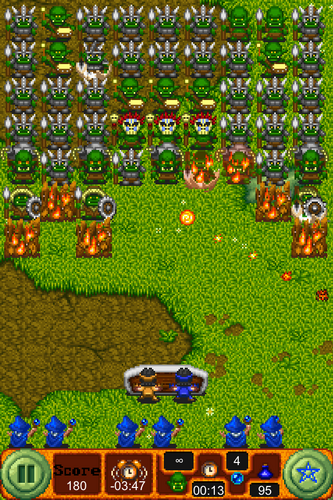 Over 10 different types of objects and enemies. 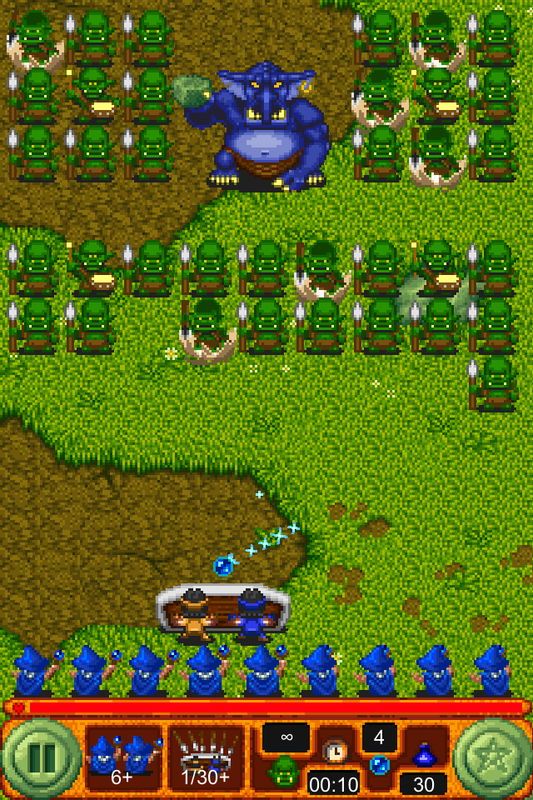 Each and every one of them will advance from time to time, trying to get as difficult as possible to defend our wizards. Final bosses, one per each world, completely differents. Totally replayable levels with countless possibilities to finish each level. Secondary goals in each level to complete the game 100%. This game is developed by Miguel Galle Hervás & César Echavarren Fernández. It has been in development for several years and it was originally designed for mobile phones or devices with touch screens in vertical (but obviously it works on PC too). Its current state is finished.